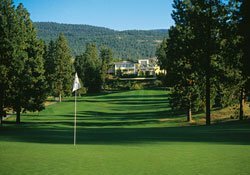 If you’re a golfer you’ve probably already played our famous courses. 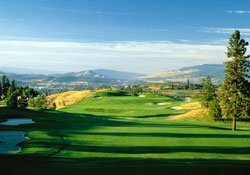 Gallagher’s Canyon is known internationally as an impressive test of golf. 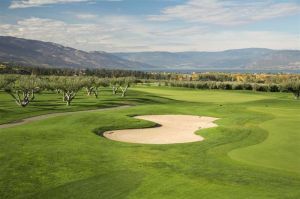 SCORE Magazine has ranked Gallagher’s among the best in all of Canada and we have hosted many top tournaments, events and famous international players. 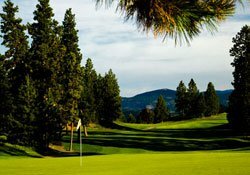 With a par 72, the 18 holes range from quiet woodland glades to absolute cliff-hangers! You’ll always have something to talk about after the game! And here’s something to talk about too – our Golf Learning Centre! This practice and learning facility is one of the finest in the country. 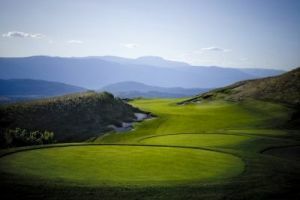 It features a double-ended 300 yard driving range with target greens, putting and chipping greens, green side bunkers, fairway traps and an 18 hole putting course. The centre has been designed to enable instruction on every aspect of your game whether in a private lesson or a week-long golf school. 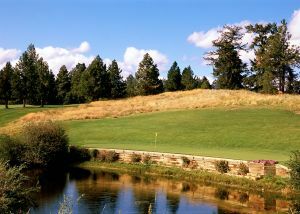 Designed by the talentedarchitectural team of Bill Robinson and Les Furber,The Canyon Course offers 6,802 yards that play past cheering throngs of Ponderosa pines and route in and around a steep canyon.The ninth tee presents one of the best views of the day:of a stream winding through the canyon bottom way below and you may need some luck, as three par fives cluster around the turn between holes nine and twelve. From the back tees they all stretch to more than 500 yards.Gallaghers closing holes present vertical poplar and pine tree hazards to avoid enroute to the final greens. Liquid rewards await on the clubhouse deck. 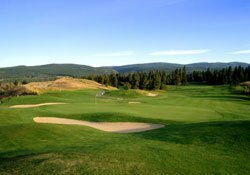 Discover why SCORE Golf Magazine ranks Gallaghers Canyon among the top 50 courses in Canada. 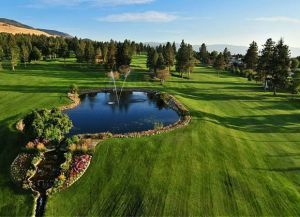 Gallaghers Canyon Golf & Country Club is not yet in our pool of Golf Courses for orders.